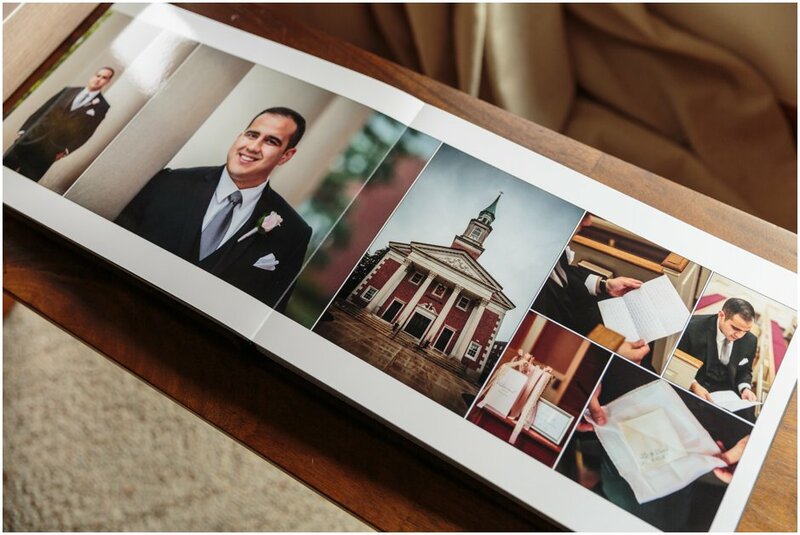 Necia & Wes designed a lovely rustic wedding album with Elizabeth & David. 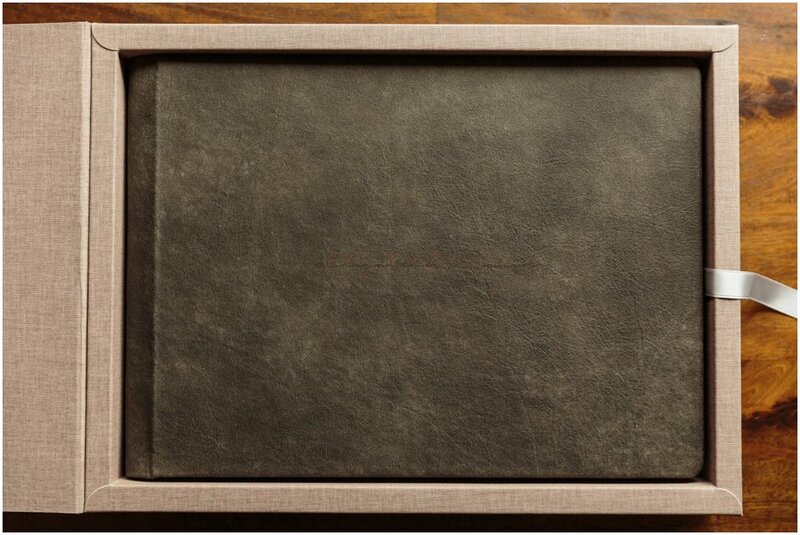 This 14×10” flush mount album features a heavily distressed earthen colored leather from our Sequoia swatch group. The custom made linen covered case has a silver ribbon, tying in a featured color from their wedding day. 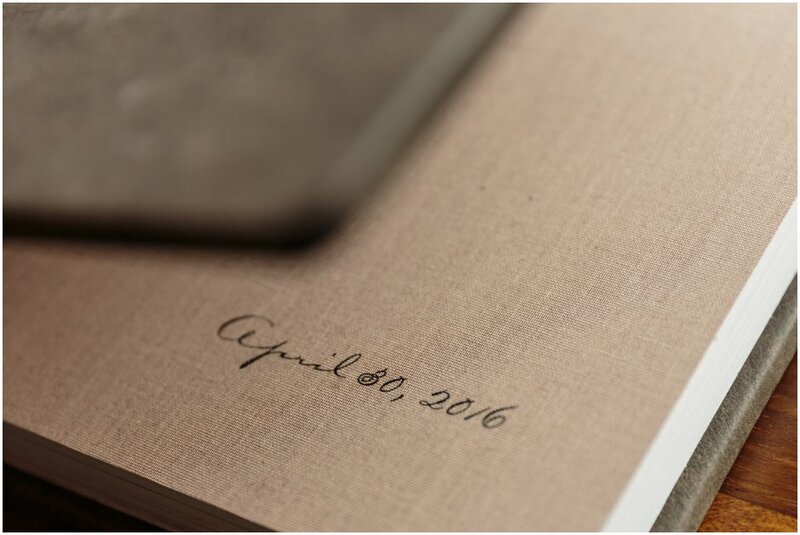 The same color linen lines the inside of the cover and the wedding date has been overprinted onto it in a title matching script. The title has been etched into the leather in a rustic yet sophisticated script for a minimalist look. 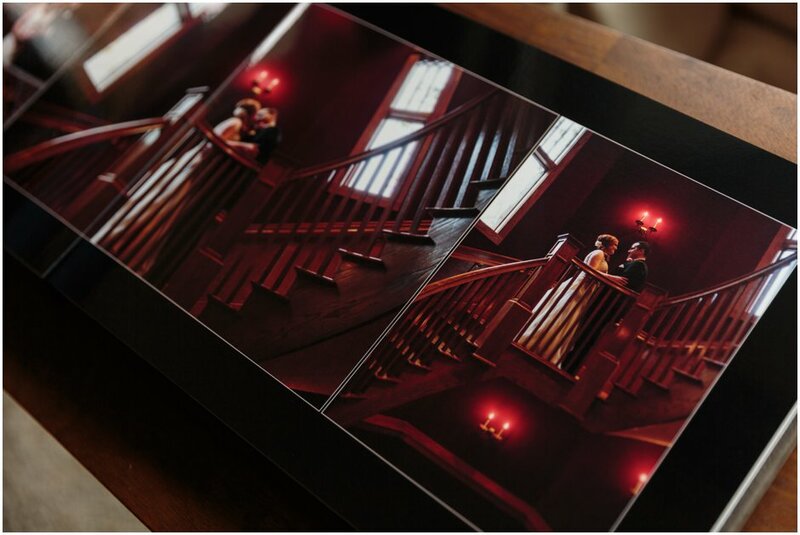 Liz & David chose the metallic paper which has a high gloss finish and a mother of pearl like shine. It’s Wes’ favorite paper. Like what you see? 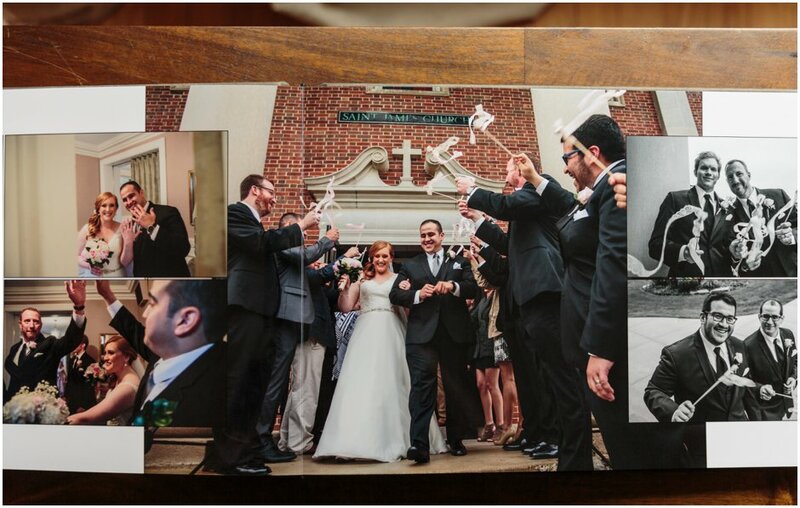 Check out more of our Handmade albums in the Handcrafted category of our blog.